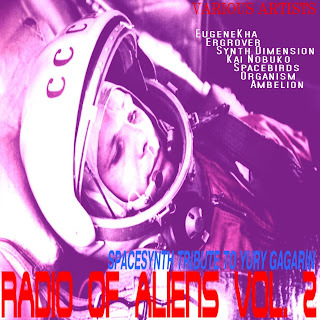 The netlabel LASER VISA offers a pretty cool release by various artists from their stable as a tribute to Yuri Gagarin. These artists sound like they’re straight out of 1985, in a good way. Artists like Ambelion from Ukraine (Ambelions track White Sky Is Blue stands out in particular) and Ergrover, also from Ukraine (who’s track Prototype is exceptional) represent various countries in eastern Europe that remember very well the oddysey undertaken by Yuri Gagarin back in the early 60’s as the first human in space. As for the music itself, this is how electronic music sounded back in the pioneer days. The final track is absolutely outstanding. Hearkening back to MODEDIT and other tracker programs with the Tron-esque sounds, if you were a hacker / geek kid back in the day, or if you just enjoy lofi electro, then check out this release, and in fact the entire catalog of LASER VISA. Lee Rosevere does his own brand of instrumental funk on this release. With a quirky, retro feel, the six tracks run the gamut from smooth and jazzy to hip-hop to beatles-esque. Top notch drum programming keeps the funkiness in the forefront. Out of the whole set, I think track six, Stormbox, is my favorite, mainly because of the huge drumbreak in the background and the big ol’ fat synth doing weird things in the foreground, but also it’s interesting to hear samples from who knows where fading in and out and sounding all out of place and discordant, and finally the entire track implodes in a synth patch nightmare. This is definitely worth a listen – and if you’re like me, you’ll want to have this blazing out the windows of your car as well. 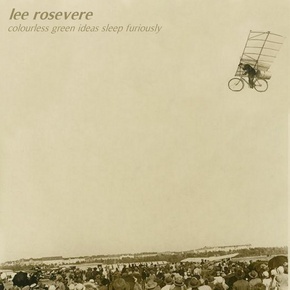 Lee Rosevere – Colourless Green Ideas Sleep Furiously. Though ambient is not normally my thing, there is enough motion here to keep my interest all the way through. 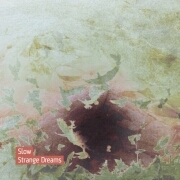 Strange Dreams is a release that is light and airy at times, dark and heavy at others, but guaranteed to relax you when listened to properly. Fourteen tracks clocking in at just under one hour, this release features plenty of details to keep your attention focused, even going so far as to include vocals in some places.